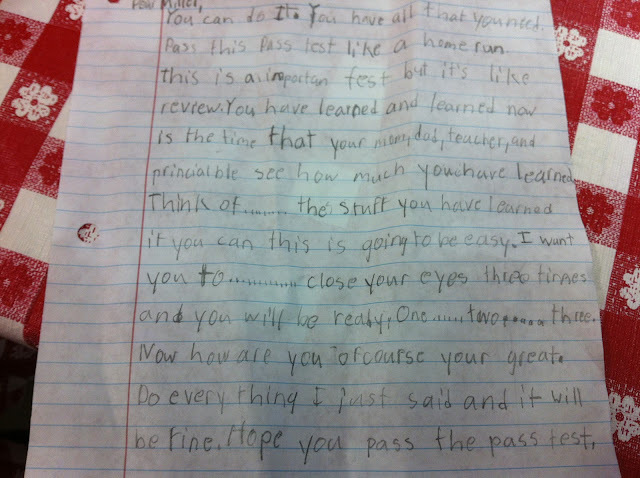 Mr. Dearybury's Class Blog: Letters To Yourself! This morning before the PASS test I had students write themselves letters to get them psyched out and ready for the test. 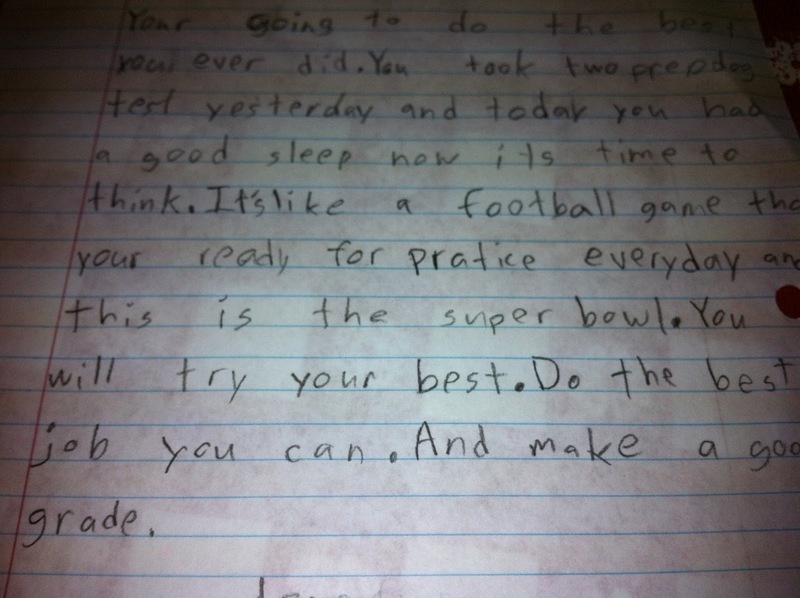 It is not easy to write your self a letter, but I absolutely loved what I read this morning! This kids are so good at encouraging one another, it should come as no surprise that they did great at patting themselves on the back. These are just two of the many great letters. Yes, there are some mistakes. We didn't exactly have time to edit. 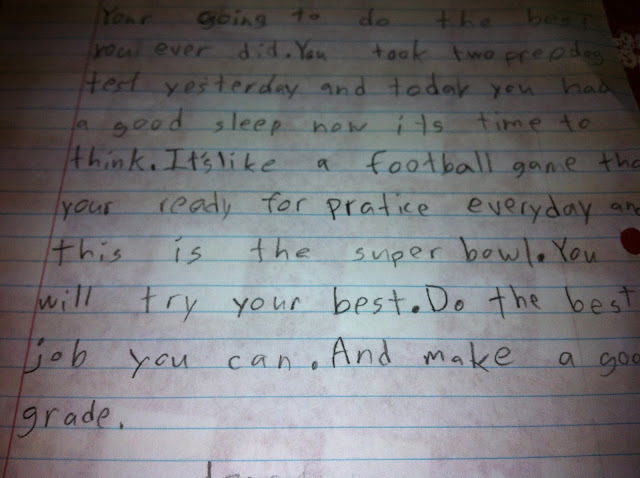 I love what the one kid said... "this is the super bowl." That is so great that they can pump themselves up like that. I love the letters and I know that they all did well. They have a wonderful teacher and they all are so smart.